Fifth Dimension Ring / 9k Yellow Gold / Diamond is currently out of stock, however this piece can be specially hand made for you in 4-8 weeks after your online order has been completed. 9K Yellow Gold with Diamonds. Total Diamond Weight 0.66ct, SI1 Clarity. 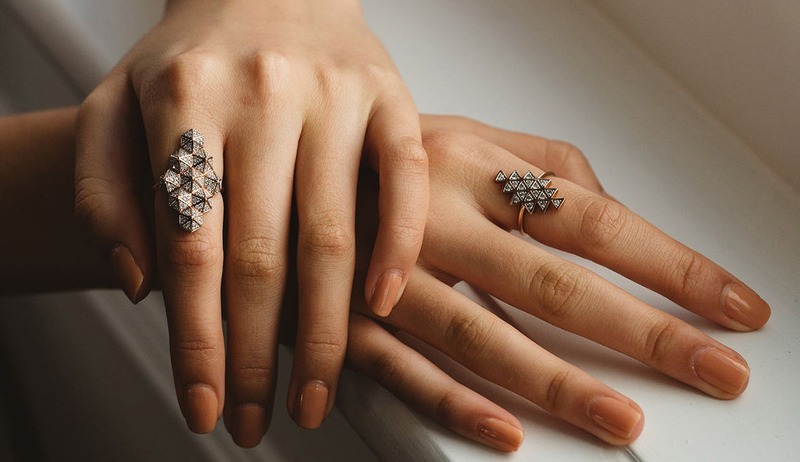 This ring takes the foundations of sacred geometry brings them into a new dimension. It’s about union and it brings together the tree of life and the flower of life, combining ancient wisdom with the blue prints for life.